The example demonstrates how to combine gauges in the chart canvas. 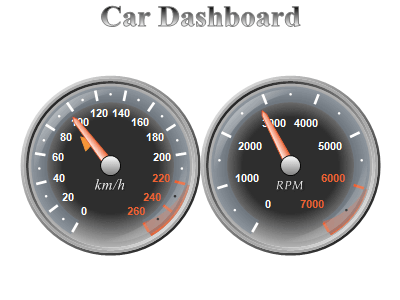 The example demonstrates how to build financial dashboards using Nevron Chart for .NET. The example demonstrates the functionality of the Digital Clock Panel combined with several linear gauge panels.